Imagine that somebody alleged Barack Obama secretly met with Mexican druglords in, say, the deserts of Juarez, prior to becoming President. 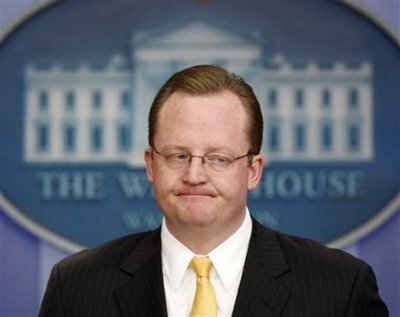 It’s not far-fetched to think that Robert Gibbs would be accosted with questions, and that the government would be forced to come up with some sort of carefully-worded denial. The Spin Machines would go into overdrive, high-ranking officials would be bombarded with questions for months on end, and people would take sides. Sunday talk show hosts’ heads would explode. That is how democracies work. That is not how Venezuela works. A similar allegation was made yesterday. A de-mobilized Colombian guerrilla fighter named Sara Morales claims that Hugo Chávez met with high-ranking FARC rebels in Colombia on several occasions in 1998, while he was a presidential candidate. Why? How many times? Is it true? It’s all unclear. Will we get a statement from the government denying this? It’s unlikely, although if we do, it will probably skirt the issue while blasting "imperialism" for being behind this "false accusation." Will we see reporters questioning some government spokesman (or even the President himself) with details? Don’t hold your breath. And so it goes in the land where no scandal goes un-shelved. In the meantime, the press will have more important things to focus on, like the inauguration of a phallic symbol to honor the Revolution.